Fee: $31/$26 members - includes an autographed copy of The Summer Country, refreshments, and admission to the sculpture garden (come early to stroll the grounds). Register online or by phone at 414-446-8794. 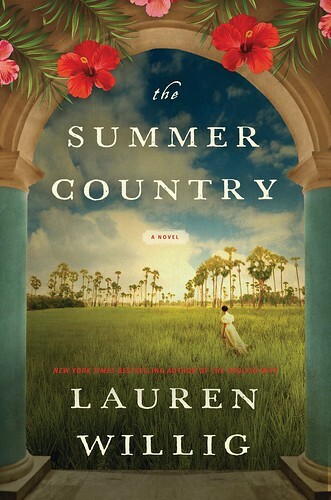 Lynden Sculpture Garden's Women's Speaker Series and Boswell Books welcome Lauren Willig, author of The Summer Country, to the Lynden Sculpture Garden, Thursday, June 6, 7 pm. For more information on upcoming Women's Speaker Series Events, click here. BARBADOS, 1854: Emily Dawson has always been the poor cousin in a prosperous English merchant clan-- merely a vicar’s daughter, and a reform-minded vicar’s daughter, at that. Everyone knows that the family’s lucrative shipping business will go to her cousin, Adam, one day. But when her grandfather dies, Emily receives an unexpected inheritance: Peverills, a sugar plantation in Barbados—a plantation her grandfather never told anyone he owned. Lauren Willig is the New York Times and USA Today bestselling author of The Ashford Affair and The English Wife, the RITA Award winning Pink Carnation series and two novels co-written with Beatriz Williams and Karen White—The Forgotten Room and The Glass Ocean. An alumna of Yale University, she has a graduate degree in history from Harvard and a J.D. from Harvard Law School. She lives in New York City with her husband, preschooler, baby, and lots and lots of coffee.